Former Wales scrum-half Richie Rees has taken up a coaching role at the Newport Gwent Dragons Under-16s academy. 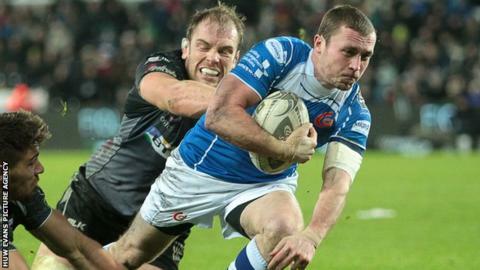 It is unclear if the position as skills coach marks the end of the 31-year-old's playing career at Rodney Parade. Rees, who has nine Wales caps, is looking forward to starting his new job. "The chance to influence the next generation of Dragons players is something that really excites me," he said. He told the region's website: "I look forward to taking on my role within the team and particularly focusing on improving and challenging the players' technical and tactical ability, so they have the best possible chance to step up to the professional game."